There was more traffic than hed expected so soon after lunch. He was tempted to pull over and sleep for half an hour, pretend the car had some problem, but so much had already gone wrong that day, small delays he should have foreseen, unwanted phone calls, a bill he hadnt paid gone missing; he didnt want to tempt fate. It would be just his luck to wake up two hours later and realise that he had missed the plane. How long would she wait, he wondered, if she wasnt met? The car smelt of deodorant. That morning, a gang of teenage girls in green and yellow uniforms had swept over it like scavenging insects with their brushes and sprays. No trace was left of the newspapers, crinkled and beige after too much sun, cellophane from cigarette packets, scraps of bread and cracker that had fallen from his lap as he ate and slept and then drove off, still hungry, still unrested. He spent too much time in his car, Mara was right. Mara was always right about practical things, even when nothing could be done to change them. Half-past two already and she was due in at three-fifteen, give her twenty, twenty-five minutes, and shed be looking out for him, just a small bag, he supposed, because what would she need for a night? A change of clothes, something for the show this evening. These days, hed been told, she usually wore black. She might only have hand luggage. That would be just his luck. Still, there was also a good chance the plane would be late; most planes were, in his experience, except the ones that had to be met or there would be trouble. He craned his eyes up through the windscreen, squinting against the sun, half expecting to see her plane. Perhaps he could slow it down by an act of will. Perhaps he would see it fall from the sky. That wouldnt be so bad; a touch of disaster would fit with the rest of her. Like whats-his-name, the one with the wings held on by wax. She couldnt have been there more than a minute or two; she had that wary look people have when they walk into arrivals, expecting to be met by strangers. He hurried across, pushing the taxi touts and tour-guide reps out of his way until he was in front of her. She was standing with a smile on her face hed seen a thousand times and she was offering it to anyone who approached her, her eyes invisible behind sunglasses. Shes waiting to be recognised, he thought. Then the absurdity of that struck him, because surely there was no one at the airport who wouldnt recognise her; and also the truth of it: that she was waiting to be recognised by him. He held out his hand. She took his hand and nodded. They never do, she said. She was smaller than hed expected, which was always true of people hed only seen on television and in newspapers. He picked up the case beside her. I always travel light, she said. She touched her lip with a finger and laughed briefly, as though this had reminded her of something; something she wasnt going to share. He led the way across the concourse and over the road to the multi-storey car park. After the cool of the arrivals lounge, the air seemed to throb. He felt sweat trickle down his sides, under his shirt. At least the car was air-conditioned. Its on the fourth floor, he said as they waited for the lift. When they got to the car, he hesitated. Normally, people like her preferred to sit in the back, pretending that he was their chauffeur. That way, they didnt have to talk to him or, even worse, listen, because there was always that risk, that he would be a bore, although he never showed the least desire to talk to them and also preferred silence. He liked to think as he drove; not even think, just let odd thoughts drift through his mind. He liked to dream about where he would be if he wasnt there, about a life he had somehow let slip through his fingers, a life that was richer than the lives these people seemed to lead, however successful or famous they were, or thought they were. Sometimes his passengers would close their eyes as if they were sleeping; once in a while, someone might read a newspaper or what looked to him like a script. Mostly, they would talk into their mobiles throughout the journey and he would listen with a sense of mounting injustice as their vanity and self-obsession and petty greed were revealed, though only to him, the driver, whose opinion didnt count. He would listen to them moan about agents and fees and journalists and the price of hotels, each identical to the others, the same complaints, the same threats. And then he would stop listening and almost forget they were there, and find himself thinking about his own affairs: Mara, the children, the south-facing flat that was too small for them all and unbearable in the summer and that couldnt be exchanged for anything larger and cooler unless Mara went back to work, and she had no intention of doing that. She hadnt got married to work in an office, she said. As though he had. He should have asked her, the last time she said it, why did you then? Why did you get married? But shed have looked at him and tapped her fingers against her forehead, that gesture he couldnt bear. But now this woman seemed to be waiting for him to open the passenger door so that she could sit beside him. He walked round to the boot, to put her case in, then looked to see where she was. Yes. Her fingers were resting on the handle. Thats fine by me. Ill go and pay, he said, unlocking the car with his remote control as he walked towards the machine, wondering why he should feel so pleased, as though he had been favoured; her choice had nothing to do with him. When he got back, she was sitting in the passenger seat with both hands between her knees like a schoolgirl. Theyd been right, she was wearing black, a sleeveless T-shirt and a short skirt made from some fine material, Mara would know what it was; all his wife seemed to think about these days was clothes. No jewellery, no make-up that he could see. Sitting there with her patient air, she could have been fifteen. As he walked round and sat down beside her, she turned towards him and smiled, still wearing her glasses so that all he had to go on was the wide mouth and the brilliant white teeth, the perfect white teeth of a star. A smile without seeing the eyes was always a risk, he thought, as though the eyes couldnt also lie. He resisted the urge to reach across and take her glasses off. When he smiled back, she seemed to relax, resting her head for a moment against the seat, then reaching for her seat belt, a gesture he hadnt expected from her. Wasnt she famous for her recklessness? Hadnt she almost died a dozen times and been dragged back? There were all those stories. He had first heard her sing when he was ten or eleven, and Giulia, his older sister, had brought home one of her earliest records and played it until everyone was sick of it and their father had threatened to lock her record player up. He remembered the way Giulia had nodded, then stuck her tongue out at his back and carried on twisting with the volume turned down low, almost as low as it would go. Then she would make him twist as well, not only for herself but for all her friends, and it was always that record, so that even now he could remember every word of it, although he had never really liked it. He had never bought a record of hers himself. He had never really liked her that much, and wondered why others did. He didnt buy records at all now, but when he had, before he got married, hed preferred hard rock, Led Zeppelin, Yes, Deep Purple, then grunge. When Kurt Cobain died, he had wept, quite alone in the bathroom, with the door locked, as though they had been brothers. That was the last time hed cried. But ever since this evenings concert had been proposed and he had found the folder thrown onto his desk, the words of that song had been going through his head, and the image of Giulia dancing in the middle of the bedroom, calling him to join her. One night, when it was too hot to sleep and he had lain there with Mara beside him, possibly also awake, he had found himself thinking of a photograph Giulia had pinned to the wall near her bedit must have been cut from a magazineof the singer swinging her hair around her head, her face up close to the camera so that she looked deformed, grotesque in a way that was fashionable in the Sixties, like a goldfish in a bowl. She was wearing the kind of dress you might have put a child in, bows and frills everywhere, yet barely long enough to cover her groin. She had a manic look on her face, as though she had been up for days, doing nothing but dancing, and would either go on forever or collapse and die. There was another more recent photograph of her that came into his mind one morning at work, when he was glancing through the paper and saw a story about some minor television celebrity arrested for drugs and immediately thought of her. She was standing on the steps of the hotel she lived in then, between two policemen, her hair greasy, no make-up except for the usual black stuff around her eyes, wearing what must have been a borrowed raincoat, borrowed from a man, and she looked like a woman who had refused to be beaten, and then been beaten despite that. She could have been any age. He had wanted to cut this photo out and keep it, he remembered, fold it into four and slip it into his wallet; he wasnt sure why. Would you like some music? he said. They were out of the tangle of roads around the airport now and on the autostrada, he no longer needed to concentrate on his driving, and he wasnt sure if she was asleep after all. But as soon as he had spoken he regretted it. Perhaps she hated music as much as he hated the raw material of his own work. Perhaps she had also wanted to be someone else. She must have been awake, because she answered at once. He thought for a moment, not about music; about what he should say. Apart from yours? he said in the end. Apart from mine, naturally, she said, then laughed and turned her head away to stare out of the window towards the hills. So he had made himself look foolish. She nodded. Yes, she said, so do I. She began to hum, her fingers tapping out the rhythm on her bare white leg. He recognised a track from Nevermind, he wasnt sure which one, he could never remember titles, the words of the songs meant nothing in the end. It was something else that held him. Then he did remember. Lithium. You like Nirvana too? he said. An articulated truck overtook him at speed. He felt the car swing out towards the central guard rail, sucked over into the vacuum its passing had created. She seemed to want to think about this. Or perhaps she was disappointed in him and no longer wanted to talk. It was true though that he didnt believe in gods. He didnt believe in anything. Fate maybe, maybe not. He didnt believe in purpose. Yes, she said. Its better not to die. She lifted the T-shirt an inch or two away from her shoulders and let it fall, twice. When he reached across to adjust the air-conditioning, though, she caught his hand in hers. Whichever you prefer, he said. A moment later, she was curled on the seat with her head hanging out of the window, like a dog, her hair blowing about her head, one shoulder out of the car entirely, her small feet near his hand. You could smell the smoke in the air from the fire on the hills. Shell burn, he thought, she cant have been in the sun at all. Her skin was smooth and white, almost the same tone as her hair, which, he saw now, was blonde and silver-grey together, depending on the light. She was six, maybe seven, years older than he was, no more. She had been a star for most of her life. She had been a star when he was at school, and then university. She had been a star when he worked as an architect for two years without being paid, because he had been promised a place in the practice, which came to nothing. She had been a star when Maras father had found him a job in the Council and everyone told him he should be grateful. And he had been grateful. He had married Mara and packed his architecture books into boxes. And all this time, as he dreamed of houses he would never build, and of schools and airports, and of open spaces and glass, she had been a star. It was almost six by the time they reached the hotel. She had asked for a room with a view of the sea, the only request she had made, and the woman who worked with him had been scornful. She hasnt had a hit in years, she said. Shes lucky weve invited her. Shes in no position to make demands. But it hadnt been that difficult to find a room that would do, large and even cool, with a balcony and a bathroom that had seen better days but served; she would like the big old bathtub, he had thought, and the bidet with its stubby elaborate taps. The owner was a schoolfriend of his, which counted for something. Besides, he had been arranging these things long enough to cash in a favour or two and this had seemed the right occasion, if only to spite his colleague, who had wanted to invite someone else, someone his children listened to. It was slightly out of town but he would come and fetch her in time for the concert, that was his job. He watched as she checked in, amused as the girl at reception pretended not to recognise her. She had to search for a document, with an air of surprised irritation as though she hadnt expected this; this indignity. She didnt have a handbag, she seemed to keep everything in the front pocket of her case. She knelt on the floor beside it, pushing her hair back with one hand and rifling through whatever the pocket contained with the other. In the end she found a passport and placed it on the counter in front of the girl, not putting it in her hand, making her reach for it a little. He watched as she signed the register in her real name; but then of course she would. When the girl reached out to ring for someone to carry the suitcase up to the room, he caught her wrist with an urgency that surprised him. Thats all right. Ill take her, he said. The girl shrugged and turned her face away. He could see what she was thinking, the little moue of contempt. Standing beside her in the lift, he felt uncomfortable and wondered if she was also aware of this possibility, that he was trying it on. Perhaps she hadnt even noticed. She had pushed her sunglasses up over her forehead to hold her hair off her face and he saw her eyes for the first time, though not directly; in the mirror inside the lift. She was standing quite close to him, not much taller than his shoulder, watching as the small red light moved up from floor to floor; but she might have been alone. Her room was on the fourth, the top floor. This is the second lift Ive been in with her, he thought, and both times weve gone to the fourth floor. When the lift stopped and the doors slowly opened, he stepped aside to let her pass. She walked across to the door to the balcony and opened it, while he stood by the door, embarrassed now that he was almost inside the room, wishing that hed left her at the desk downstairs, then stepped across the threshold and put the case down on the floor. He wasnt wanted. The girl had been right to see him as squalid. What would Mara have thought, he wondered, but knew immediately that she would have thought what the girl had thought. If theres anything you need, he said. She turned her small straight body and shook her head. He looked around the room and noticed how shabby it was, the wallpaper faded, the tiles worn and even cracked in places, as though something heavy had been dropped on them deliberately. How sad hotel rooms were. Why hadnt he found her something better, he asked himself. He should have thought of flowers, but this occurred to him too late; perhaps something could be done downstairs, a word to his friend that she deserved more than this. All at once it seemed terrible to him that she should be treated like anyone else. Thats fine, she said. She sounded tired now, eager to see him gone. He felt uncomfortable again. Till nine, then. Unless youd like me to take you somewhere to eat? He hadnt intended to say this. He had time to go home, but preferred to eat some chicken and potatoes in a place near the office. The chicken had been on the spit too long, but the potatoes were the way he liked them, slightly burnt on one side, soft and drenched with oil on the other. The kind Mara refused to give him because she said he was getting fat. She was following what she said was a dissociated diet at the moment, so they all were, even the children; eating at home he was always hungry. Hed sneak out after dinner and wolf down a ham roll at the bar on the corner, wishing he had a dog he could take for walks; at least then he would have an excuse for leaving the flat. As it was, she knew what he was doing. She watched him with a little smirk of contempt like the one he had seen on the face of the receptionist. We know your game. He wiped his mouth on a piece of paper, then pushed the aluminium container away, disgusted by the puddle of orange grease at its bottom, and called across for another beer. He thought about the hotel room as he drank, and what she might be doing in it. She would be lying on the bed beneath the fan, because he was sure hed seen a fan, quite calm, thinking about nothing, her arms spread out. That was how he imagined her. A slate wiped clean. He reached the hotel at a quarter to nine. He realised then that he should have gone home and changed, but it was too late for that now. The shirt and trousers he had worn all day would have to do. His friend from school was at the desk; the girls shift must have been up. They shook hands, as they always did. They had known each other for more than thirty years. They had been to school and studied architecture together, but the last time they had exchanged more than the few words they needed, for their work was more than two decades ago, when they had sat on the terrace of someones house outside town and he had held his friends hand until there were no more tears and it was dark. They had sat in the dark until someone came in and found them and said it was time they all went home. A friend of theirs had died of an overdose, a girl they had both been half in love with, there was nothing any one of them could have done. They had all used smack a little or a lot in those days, and sat around in houses like this, listening to music, sometimes even listening to her, eating boiled rice and tuna or tinned meat, whatever came to hand, from a shared bowl, drinking local wine and imported beer. She would have understood, he thought, imagining her in the room above his head, with the cracked tiles and the sea view. She had been there. And now she was here and alive, as they were, because they had all survived, in one way or another. Each with their job to do. When he knocked on the door, she called out to him that it was open. He pushed it and walked in just as she entered the bathroom, wrapped in a towel. I wont be a minute, she said. He heard her flush the toilet. She didnt close the door. He looked around. She hadnt unpacked. The case was where he had left it, but on its side now and open. There didnt seem to be much in it, a few clothes, all black, an empty water bottle, a couple of books. There was another one on the bed, which looked as if she had just put it down. He stepped across the room to see what it was; something about Buddhism from the image on the cover, or perhaps a travel book, he had heard she liked to travel; she liked the desert. Whenever she finished recording she took off to a desert and travelled with nomads, according to the press release she had faxed him, and he had read this, and smiled to himself, unconvinced. But now that he had seen her, and spoken to her, he wasnt so sure. He also dreamt of deserts, so why shouldnt she? Why shouldnt she want to stand beneath a sky so full of stars it felt like day? He couldnt get close enough to read the books title without being visible from the bathroom, snooping among her things. He wouldnt want that. The only change in the room was the air, which was fresher than when he had left her there. She must have had the windows open to the sea. The fact that now she had also left the bathroom door open unsettled him. He stood there, near the bed but not near enough to read what was on it, suspended between the bed and the door to the room, and above the clean scent of the air in the room he could smell his own scent, which was stale, the scent of closed cars and clothes he had worn too long and cigarettes, the smell that was entirely his. He wondered if she had been to India, but she must have been, everyone went to India then, she would have had her guru like all the rest. When she came out of the bathroom, she picked up the book and gave it to him. She was dressed in a black silk singlet with no bra, so fine it was almost transparent, and matt black tights with the kind of boots laced up to her ankles that skinheads wear. She looked perverse and like a child, a girl whose breasts had just begun to grow. She was wearing make-up now, something that made her skin reflect the light, not much else apart from on her eyelids, which were smeared with green and black, the colours of a scarab beetle. He imagined her surrounded by nomads, a distant exotic being. He took the book and gave an awkward little bow. She stepped back and curtseyed, with a flourish of the hand familiar from a hundred television shows he had watched from the corner of his eye, because she had never been his kind of singer, a flourish that he had always thought affected and now understood was essential. She was silent in the car, one elbow resting on the open window. He thought she must be steeling herself for the concert, running through the songs she would do. Perhaps she still had stage fright after all these years, after singing in theatres and concert halls and television studios throughout the world. Perhaps the idea of sitting at a piano, hastily tuned the day before, on a wooden platform in the main square of a small provincial town, in front of how many people would there be? two or three hundred at the most, was just as frightening as that. It wasnt the place that counted or the numbers. But how would he know? He had never performed. There had been talk of groups, but they had come to nothing; he had sold his guitar to pay for a washing machine. Perhaps she wasnt scared at all, but indifferent, with nothing to say because there was nothing that needed to be said, to him at least. Yet she had given him the book. That meant something, surely. She had wanted him to have it. He took her to the caravan behind the stage. 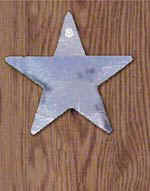 Someone from the office had put a cardboard star on the door, covered in silver paper. It had seemed funny at the time, ironic, but now he wished that he had been able to take it down before she saw it. Youre leaving me here? she said. Ill come and collect you afterwards, he said. To his surprise, she looked perturbed, even annoyed. Youre not staying? she said. Oh yes, he said quickly. Ill be out front. He paused, and added, in the sort of tone he might have used with his children: Dont worry, because it seemed to him that she needed to be reassured. He had planned to go home and change, but there was nothing he could do about that now. He felt that she would sense his absence. When she walked onto the platform fifteen minutes later, his instinct was to wave, to show her that he was there, no more than twenty or thirty feet away, standing by one of the rows of orange chairs, which were still filling up because people were always late for concerts like this, concerts that cost them nothing. He recognised friends of his mother among them, people whose names he had never known, but nodded to in shops, the man who sold him his cigarettes. They didnt stop talking until after she had begun to play, the first few bars were drowned by their chatter. He wanted to shout at them to stop, but that would have made things worse, the humiliation of being championed by an office clerk. She didnt, in any case, seem to mind. She kept her shoulders back and her head down over the keyboard, a little like a bird that stoops to peck, her hair concealing her face. Now she was singing the song his sister had brought home all those years ago, but she had taken the twist rhythm out of it and was doing it slowly, so that it sounded like a ballad. He found himself singing along, under his breath. He didnt recognise it from the words, which meant nothing to him, but from the memory of her humming it in the car that afternoon, the drumming of her fingers on her slim bare thigh as she sat beside him. He felt himself flush with pleasure, wondering if anyone would realise that she was singing for him, because surely that was what she was doing, if anyone would know that she had understood; but that was absurd. No one would ever know unless he told them, and he would never do that. His heart had begun to beat with an odd, irregular flutter, as though he was on the point of dying and it didnt worry him, because he also understood. The book had not been the only present. That was the last song. There was applause, but not enough to make her sing again. It was half-past eleven, she had been on stage for just over an hour, everyone had had enough. It was still too hot for bed, people drifted off to buy ice creams and walk beside the sea in the hope of a breeze. The show was over and he stood there, with the rows of empty chairs beside him. He couldnt think of anything but her, and the song she had given him. He didnt know what to do. He felt as though his life had been returned to him. He gave her time to prepare herself, although there was nothing she could do in the caravan except wash, she had no change of clothes with her. He waited five minutes, then tore off the cardboard star, ripping it into pieces and throwing it beneath the caravan, and knocked on the door, a gentle knock. She didnt answer at first and he felt a panic he couldnt account for, because there was no reason to suppose she would hurt herself, not again; not tonight. He knocked a second time and heard her cough, as though she had been drinking something and breathed it in by mistake. He heard her get her breath and walk across the caravan and he was thinking, she has noticed me. She has seen the value in me. I have been seen. She opened the door and smiled. Come in, she said. Im nearly ready. There was a small fridge in the caravan; he had forgotten about that, the other request she had made, a fridge with water and German beer. She offered him a beer and poured one out for herself into a paper cup. He took it and sat on the bed while she twisted her hair back and pinned it up with a clip. Her neck was long and thin, her head almost precarious. That was something else he had noticed about the famous, how large their heads seemed to be, as though they were designed to stand out in a crowd, to be seen, however small they were; larger and more luminous than everyone else. He was waiting for her to speak so that he would know what to do. What he wanted was too enormous to be contemplated. He would wait for her. She sat beside him on the narrow bed and sipped her beer. There was no air in the caravan. She seemed drained. There was a table outside. The road ran between the restaurant and the sea, but when there was no traffic they could hear the waves on the shingles and see the light shift on the surface of the water. The sea was calm. After a while, even the traffic seemed to die away. Only the planes could be heard as they carried their loads of water to the fires on the scorched hills at their backs. They sat and watched as the waiters nudged each other into action, having seen who she was. She whispered to him: Look at them, arent they sweet? He felt that he was a conspirator, breathless with anticipation. She took a cigarette from his packet without asking, waiting for it to be lit. As he did so, his hand almost touched her cheek. All the time in the car he had wanted to know what the words of the song had meant, but couldnt ask; it would look so foolish to admit that he hadnt understood her gift to him. He didnt order anything for himself and tried not to watch as she picked the tomatoes out of her salad, eating them separately; it would humiliate her. They had asked for a bottle of chilled white wine, which she drank, filling and emptying her glass; he wasnt thirsty. Besides, he liked to see her drink. Mara would always refuse to drink. When she had eaten what she wanted and the bottle was almost empty, she pushed the plate away from her with a gesture of intolerance. So what did you think? she said. He could see she was trying not to look pleased. He had said the right thing after all. She took another cigarette, this time lighting it herself, then shrugged. It didnt sound like that, he said. She glanced around the empty tables as if she had misplaced something, or expected someone else to be there, as though she had forgotten where she was, then pulled the clip out and let her hair fall down across her shoulders. Thank you, by the way, she said. Now it would start. Now she would make room for him, show him what had to be done. What for? he said. He felt cold and sick, as though made aware of his own death, the details of it. He started: But I thought . . . . then stopped, because of course he had misunderstood, his vanity and his hope had misled him, and now everything was clear. She had come and gone, some cold and violent and lonely thing that would never have waited for him, that had no need for him at all. He stumbled into the vacuum she made as she passed. He became a fan. Yes. Not well. I dont know anyone well. You never do, in this business. She stubbed out the cigarette into her salad. We met the last time he was here, when he finished up in hospital and almost died. She shivered, although there was no reason to shiver, it was still too hot. He knew already that he wouldnt sleep that night, that he would lie there sweating with Mara beside him, also awake. He thought he could smell the burning behind their backs. Charles Lambert was born in Lichfield, England, in 1953. He now lives in a ruinously large house halfway between Rome and Naples and eighty-seven yards from the Appian Way. He has published fiction in the gay fiction anthologies The Freezer Counter and Fabulous Tricks, and in the following print and web magazines: Paris Transcontinental, This is: The Poisoned Chalice, Harrington Gay Mens Fiction Quarterly, Cadenza, In Posse Review, The Richmond Review, East of the Web and FRiGG. He was also among the winners of the 1997 Independent on Sunday/Bloomsbury Short Story Competition, the winning story appearing in the anthology IOS (Bloomsbury 1997). His novel A Winters Child was shortlisted for the Lichfield Psrize 2004. He is represented by Isobel Dixon.